Delamere Motors Telford | 01952 583 334 | Telford's No 1 Car Servicing Garage. Welcome to Delamere Motors Telford. We can help with all your Garage Services in Telford. 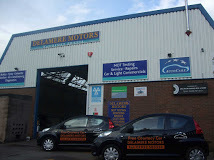 Delamere Motors Telford is an independent Garage in Telford. We can undertake Car Repairs on all makes and Models and can save you money on your Main dealer prices. Some of the benefits to make your next Car Repair and Servicing easy.